I finally ordered business cards. With various blogging events and conferences coming up, it made sense to invest in some marketing. Not my hand...photo generated by Vista Print. And a little swag for me. 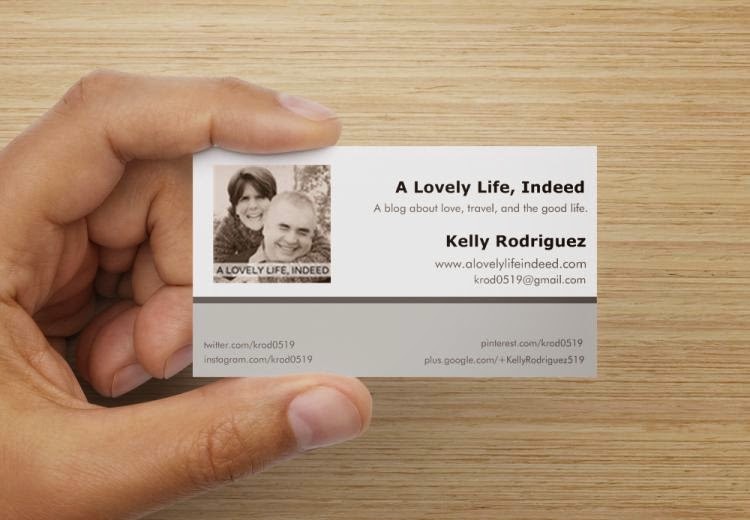 Do you use business cards for your blog? What other marketing or promotional items do you use? Love them! I need to get them!? How much does vistaprint charge? Thank you, Rebecca! :-) There are deals right now where you can get 250 for $10. Google vista print coupon code or promo if it doesn't show up on their home page. Have fun! :-) SO many options! Thank you, Jill. I also ordered teacher ones for my upcoming conferences. So many options. Very fun. Thank you for stopping by! Happy Thursday. Thank you, Zakkiya! They haven't arrived yet. I will let you know though. It is a good deal. There are so many options. Have fun! They look great! Ok please tell me what the bar code is n the back, does it go to your website address? Hi Christine. Thank you! 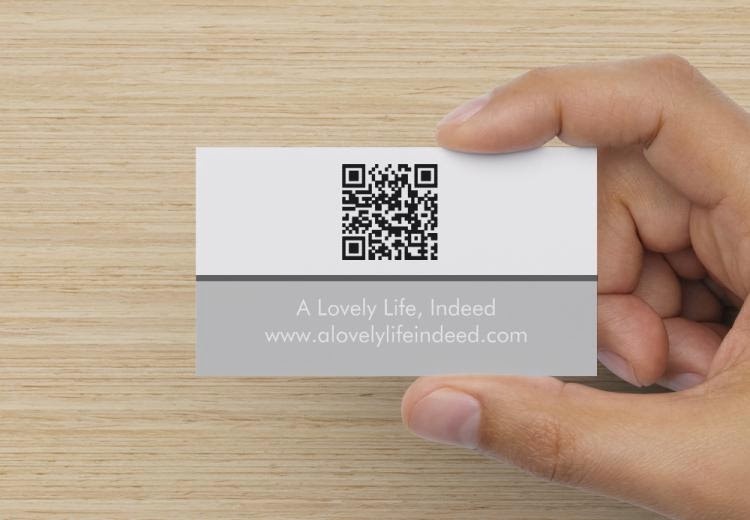 It's a QR code. When people scan the code from their phone or tablet, it goes directly to your site. Thank you for stopping by! "Not my hand...photo generated by Vista Print." Haha! And I need to check into this, and also getting rid of the blogspot url. Thanks for the inspiration, they do look great! Thank you, Farin. I used GoDaddy for the URL. Good luck! I don't use business cards for my blog, but it makes sense for attending blog-related conferences! Thank you, Rachel. With conferences coming up, it made sense for me. I can't wait to use the mug. :-) Thank you for stopping by! I need to do these. Have heard good things about Vista Print. Will have to check it out. I love your cards! Vista Print has a very user-friendly site. And the price is right. Good luck. And thank you. :-) Thank you for stopping by. Thank you, Cathy! Vista Print has a very user-friendly site, and the price is right. Thank you for stopping by. I am anti-business card in general - even for actual business! Mugs...mugs are my thing. Thank you, Steph. I can't wait to use the mug. Fun! Love your new cards Kelly! Happy Communicating to you! Love those and that picture is great! I have seen friends who have the scan app thingy on their cards. Fun! Thank you, Wendy. It's a good time. I love the QR code. I used them in my classroom for different sites, like virtual museums. Kids could scan and learn at the same time. Thank you for stopping by! I think they came out great! I think they would come in handy for events and things. I like the color selection. Thank you, Kerry. Vista Print has a very user-friendly site, and the price is right. Thank you for stopping by. With conferences coming up, it made sense for me. I wanted to keep a simple, clean look...hopefully that's what comes across. I love it! I've been thinking about getting my own blog cards, but haven't decided on a design yet. 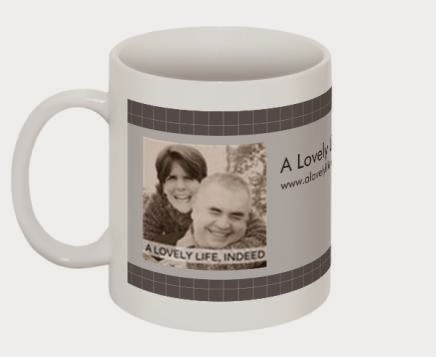 Yours look great and I love the mug! Thank you, Tracy. Vista Print has a very user-friendly site, and the price is right. With conferences coming up, it made sense for me. I can't wait to use the mug...fun times. Thank you for stopping by. Very nice card! Looks very elegant. I've just ordered mine from Staples, but it hasn't arrived yet. I hope it will come out all right. Thank you! They will be great. Once people find you online, you're good to go. :-) Can't wait to see them!